Recently we started a new corner in our blog, SMB/Business, to talk about the avast! business product line. We will focus on topics which are come up during our conversations with resellers and their clients. How can I correctly reinstall the avast! Antivirus client? Whether you’ve used avast! 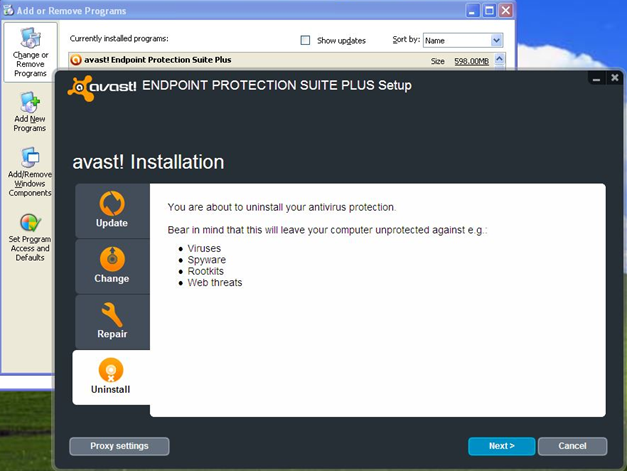 Antivirus for a long while, manage a large organization, or simply installed the wrong product, it is imperative that you understand the correct uninstallation procedure before installing a different avast! Antivirus product. The following guide will help you through the process. 1. Navigate to add/remove programs, and uninstall the relevant avast! Antivirus product. 2. Download avastclear.exe from here, and save it to your desktop. To get to safe mode in Windows XP, Vista or 7 - Restart your machine, and continuously tap the F8 key. You will then be presented with an Advanced Options Menu, where you can chose to boot from safe mode. To get to safe mode in Windows 8 - Go to the start screen and type Advanced into the search field. When the search results appear, click the settings category and navigate to the Advanced startup options screen. Clicking restart now will take your computer directly to the advanced startup mode, from there click troubleshoot, then at the startup settings menu press F4 to enable safe mode. Your machine will then restart to safe mode. 4. Open the avastclear.exe file you downloaded, and navigate to the root of the previous installation directory. Ex: C:\Program Files\AVAST Software. 5. Click remove and restart your machine. Thousands of avast! Antivirus users as well as avast! team members gather on the popular forum to help users-in-need with their questions. It helps to read the rules and practice polite netiquette at all times.